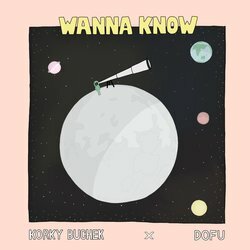 Korky Buchek are a duo born out of the Hills District of Sydney, both finding their way as producers after many years sharing the froth of music. After a mutual love for music and the dance floor, they decided to team up and start DJing, after a whole heap of house parties, YOUR SHOT competition and a string of club events, they finally figured out where they wanted to go, straight into making music. Finding inspiration in all genres, from hip hop, house, electro, soul, jazz, and heavy metal, their music comes together in a very interesting way. With a whole heap of releases over the past 2 years and many getting plays on Triple J radio + FBi radio, blog love from Stoney Roads, Acid Stag and more, it's safe to say they're on the rise. With a tonne of music in store you best keep your eyes and ears peeled. Working with Dofu, the guys collaborated and created a beautiful work of music. It's the perfect way to rev up for summer and is the perfect balance of pop and creative beauty. With the soulful vocals of Dofu dripping over the top of a beautiful beat. Covered online by Life Without Andy already, it's gaining traction fast.